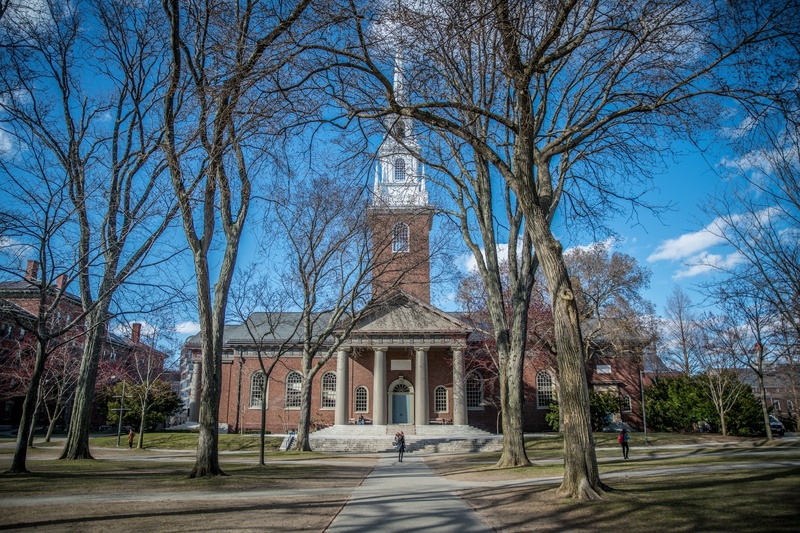 Memorial Church in Harvard Yard, the location of Friday's vigil. Harvard students, faculty, and staff huddled together before the steps of Memorial Church Friday evening, standing vigil for the victims of the Christchurch, New Zealand mosque attacks that left 49 dead. Approximately 50 Harvard affiliates and Cambridge residents gathered at the vigil, which the Harvard Islamic Society organized to give people an opportunity to process, grieve, pray, and reflect in the wake of the deadly tragedy. Dean of Students Katherine G. O’Dair, Muslim Chaplain Khalil Abdur-Rashid, Rabbi Jonah C. Steinberg of Harvard Hillel, and Reverend Jonathan L. Walton were among the attendees. A gunman opened fire in two mosques in Christchurch while Muslim worshippers were in the midst of Jummah prayers Friday afternoon; Friday prayers hold special significance in Islam. In addition to the 49 deceased, the shootings left 48 injured. Prior to the attacks, the gunman, who self-identified as a white nationalist, published a manifesto online that called foreign immigrants a “threat” and cited white supremacists and President Donald Trump as a source of inspiration. A 28-year-old man with Australian citizenship has been charged with murder in connection with the attacks and will face additional charges, according to New Zealand police. Meherina Khan ’21, who was one of the student speakers at the vigil, said she woke up Friday morning to an outpouring of messages from friends and members of the Harvard Islamic Society. “From then it’s been everyone being there to support each other and extending arms of support, a listening ear, and a shoulder to cry on,” she said. Abdur-Rashid delivered the closing remarks at the vigil and urged attendees to continue to stand against bigotry, violence, and hate. “If it takes meeting here every single night to remind myself and the community of the duty we have to not go to sleep on hate, so be it,” he said. The Friday shooting is the most recent in a string of targeted violence against racial and religious minorities, including mass shootings at a Pittsburgh, Penn. synagogue in October and a Charleston, S.C. church in 2015. —Staff writer Ruth Zheng can be reached at ruth.zheng@thecrimson.com.